I am fortunate to have two Kaylas help with with design and ideas for our up coming online paper bead jewelry shop. 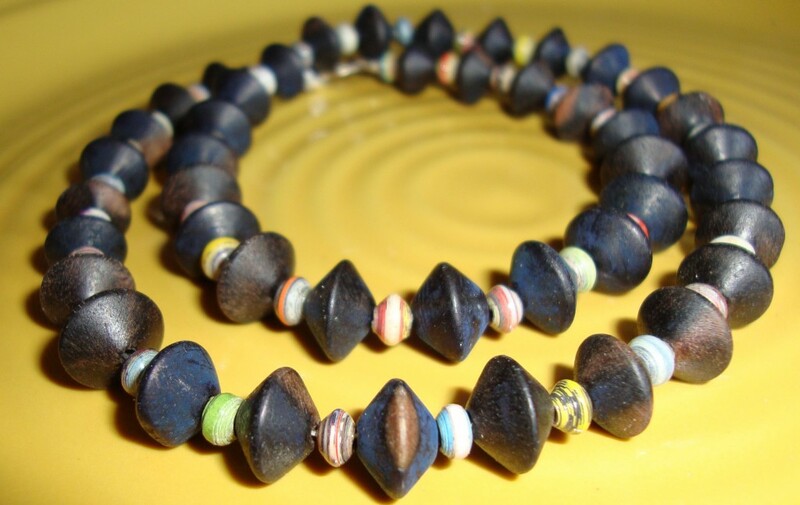 She came up with a very nice yet ethnic necklace design using paper beads. However, the best part is… It is a design for MEN! 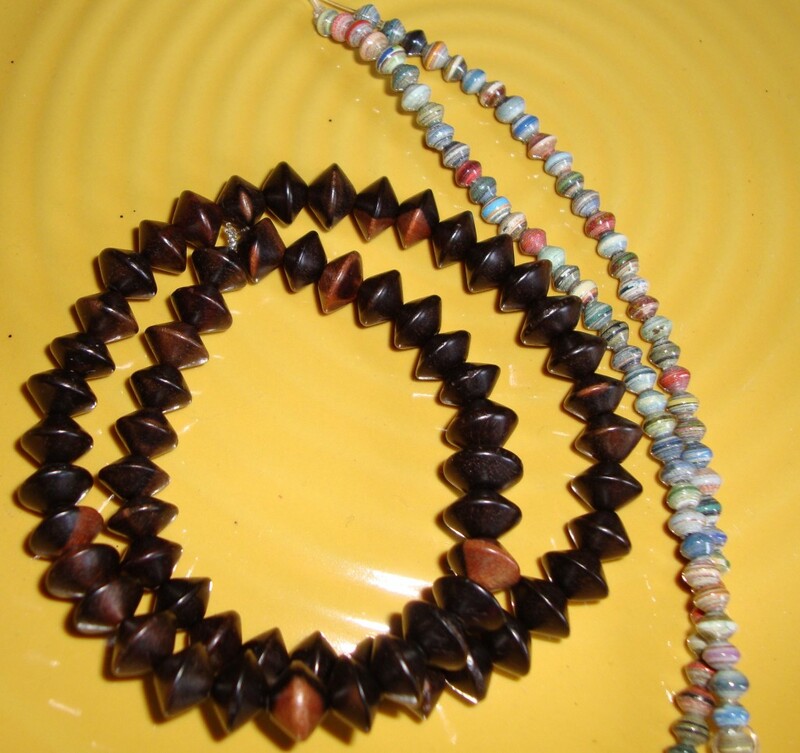 The materials Kayla used were: 4mm x-small round paper beads and a nice strand of saucer shaped wood beads. 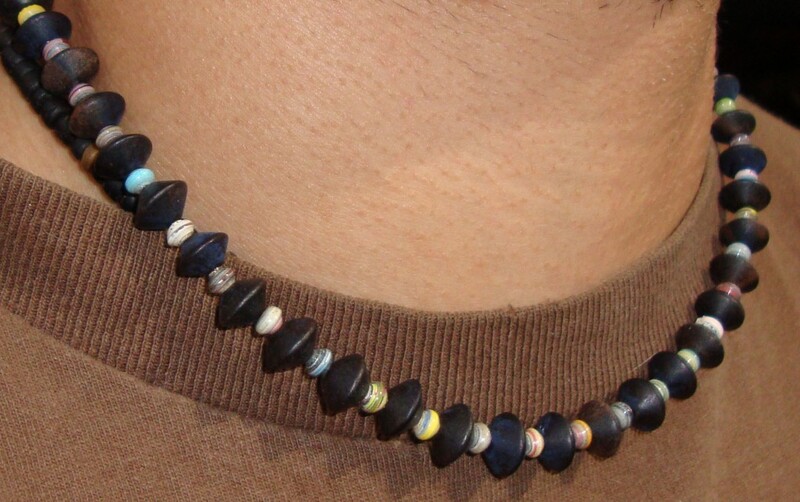 Not only is this necklace easy to make but the materials are very inexpensive. All she did was strand the beads, starting with a paper beads, then adding a wood bead, and countinued this pattern to her diesired length. Easy as that. The finished product came out very nice and masculine. 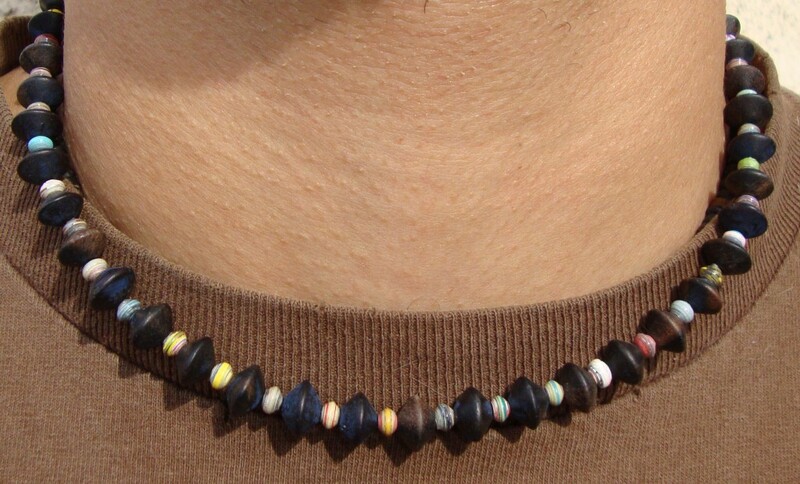 It also has a nice variety of colors from the paper beads. I recommend this design to anyone out there who wants to make a nice piece of jewelry for their husband, boyfriend, sons or any other special boy in their life. Thanks for showing this! I’m going to make one for a friend. I love your blog and your beautiful beads! Wow this is wonderful! My fiance says he wants one just like this. Great post! I enjoy all your work. Very nice! The two shapes really compliment one another well.